On demo in our showroom! The Aurender ACS10 is a device designed to eliminate the reliance upon computers and other IT products for the management of digital music files. Its primary functions are what any audiophile needs when using a file-based playback system and are consolidated within the ACS10 with attention given to the simplification of the tasks at hand. It can be used as a companion to an existing Aurender Music Server and it will greatly expand its functions and flexibility. 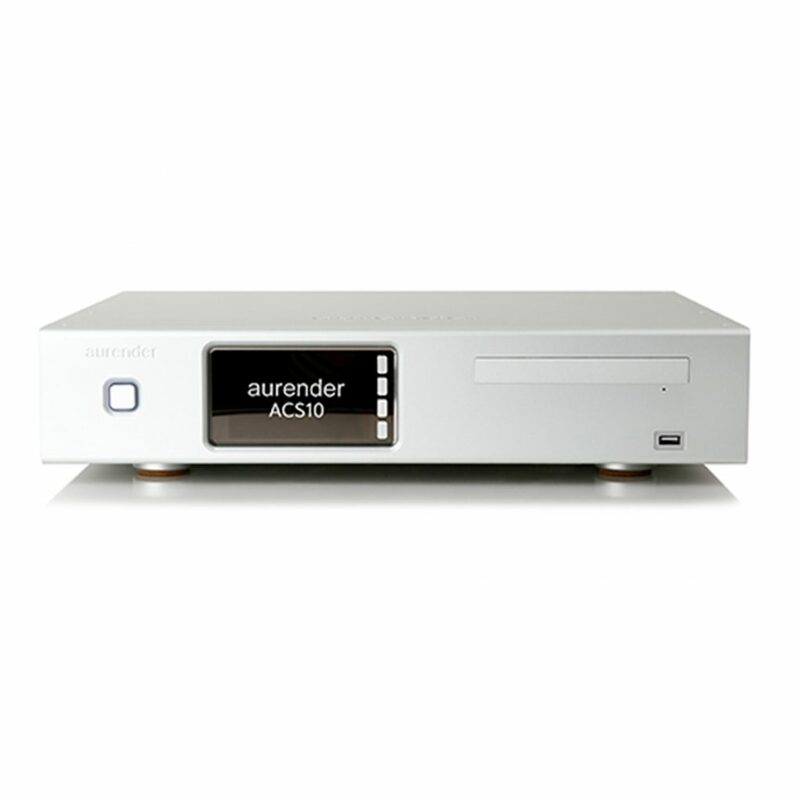 That said, the ACS10 could also be used as a fully-functional server and streamer controlled by Aurender Conductor and delivering a digital output via an Audio 2.0 USB port designed to be connected to an external DAC. However, the highest audio performance is realized when using the ACS10 mated with models A10, N10 or W20. · One-touch CD Ripping with metadata and cover art retrieval with a unique user determined target folder depository feature. Industrial-grade CD-ROM drive (TIAC DVD-ROM), tray loader design. Choice of FLAC, WAV and AIFF codecs. · Support for using ACS10 as central library storage. And support for ACS10 to expand storage beyond the capacity of an Aurender music server. ACS10’s SmartMerge feature will identify a network attached W20/N10/A10/N100H/N100C or X100L and allow user to see content from both libraries combined into one. (can only be used 1+1, one ACS10 and one Aurender music server). Media files and streaming content managed using the integrated Aurender Conductor App. Integrated app support for Tidal, Qobuz, Bugs and Melon (determined by country offering service). Spotify Connect(We expect we can release it by the time of ACS10 shipping). Full-linear power supply for audio and “super capacitor” uninterruptible power supply (UPS) for stabilizing the ACS10 under an abrupt power outage condition. Large 4” color IPS LCD display provides album art view when ripping and all system data on functions in use. One of three Hub Ports are doubly isolated. Besides the USB Audio ports, there is one USB 2.0 port on the front panel and one USB 3.0 on the rear panel.